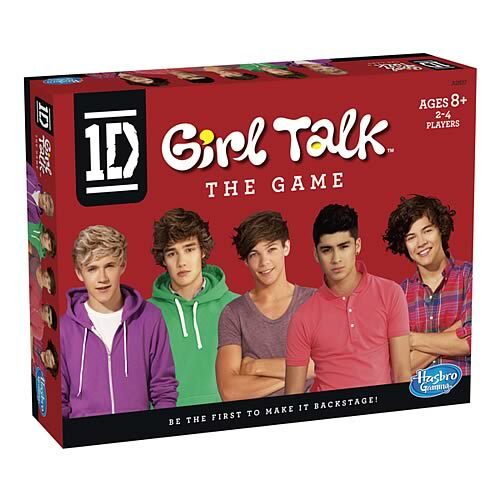 Join your Tween's Craze- One Direction Board Game Giveaway! Are you managing tween and teen girl crazinesss over the latest British invasion known as One Direction?? My mother refers to them as ‘esos muchachitos’ (those young guys).. LOL. Earlier this year I took a group of 8 screaming tween girls to see the One Direction documentary film “This is Us”. It was quite the experience!! What I liked about the outing was actually learning ‘what all the fuss is about’ and they seem like fairly simple young guys. I’m trying to manage the drama over these guys by laughing it off a bit, but this group surely is getting mucho amor from young girls! If you or your best tween or teen girl are fans– we have a fun Giveaway for you! “Girl Talk” is a simple board game from Hasbro that allows your tweens to have fun answering trivia questions about their favorite band members and acting out ‘dare’ questions. It’s a great way for a group of girls to have some silly fun talking about their latest craze. And with all the pressures they face on a daily basis, a little fun can be a good distraction. One Direction- the latest tween and teen craze! Our friends at Hasbro provided a game for us to giveaway- enter to win one for your tween or teen! And then add the game to your “family game night” options. 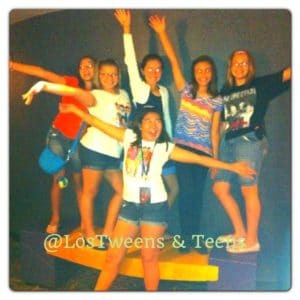 By becoming part of their world, you learn to share your tween’s interests, music and entertainment. 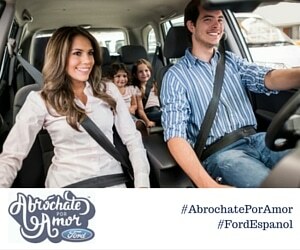 It’s all about the familia! To enter please share with us a short funny story about your tween’s fascination with One Direction in the comments section below. Have you made it to a concert? Is she or he (some boys like them too!) taking photos standing next to a lifesize poster? Is your tween planning a One Direction-themed birthday or party? Be sure to follow @LosTweens on Twitter and join us on Facebook as we share the stories and announce our winner. This entry was posted in Entertainment, Ideas and tagged fami, Family, Family game night, Hasbro, hijos, juegos, One Direction, padres. Bookmark the permalink. My daughter got a One Direction car board cut out for her birthday but little did we know we would have to keep it in the dining room because she woke up in the middle of the night once and thought there was a man in her room!